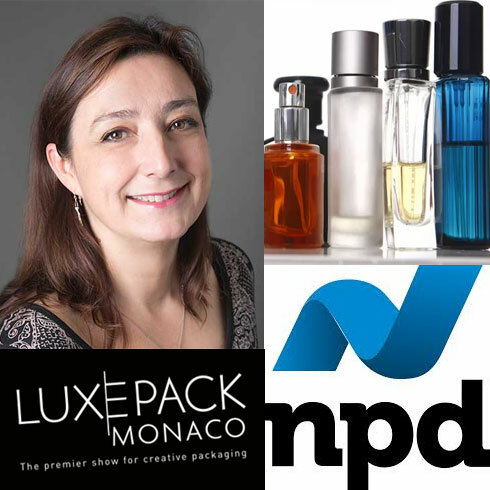 During a conference given at LuxePack Monaco 2018, Mathilde Lion, Europe Industry Beauty Expert of the market research firm NPD, presented the trends in the Prestige fragrance market in Europe and North America. An opportunity to highlight the drivers of growth and the resulting opportunities for companies. The information presented in this presentation is based on the study of sales by value recorded by the NPD distribution panel, at cashiers’ premises of selective perfumeries and department stores in six countries (United States, Canada, France, Italy, United Kingdom, Spain), i. e. all stores of more than 200 companies. #### The main trends The global selective beauty market (skincare, fragrances, make-up) is doing very well overall: in a sliding year at the end of June 2018, it grew by +8% in North America and +2% in Europe. However, the two zones see major differences in the distribution of Prestige products: in North America, perfumes occupy the last place (23 to 24%) and represent less than a quarter of sales, largely dominated by make-up and then skincare. The opposite situation is true in Europe, where the key to consumer entry into the Selective segment remains perfume: it represents 67% of sales in France, 56% in Spain, 48% in the United Kingdom, and 45% in Italy. It should be noted, however, that the respective sizes of the Prestige markets are also quite different since it is worth $20.5 billion in North America (including 4.7 billion for perfume) and only 11.2 billion for the four European countries (6.2 for perfume).